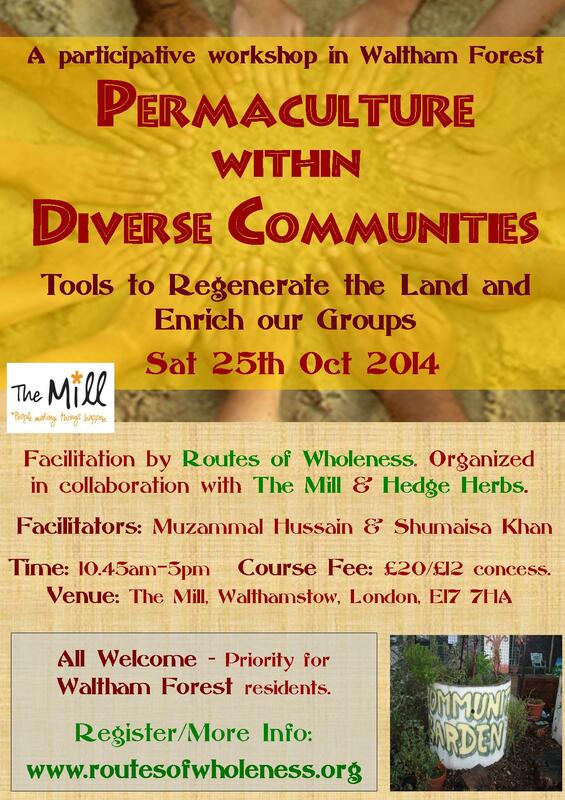 Permaculture is a practical system for regenerating the earth and communities. By drawing on principles and patterns in nature, permaculture has empowered people worldwide to develop dynamic, resilient projects that work with nature, rather than against it. Whether the home and garden, community space or one’s own life and career, permaculture can be applied to each situation. This 1-day workshop is about ecological and social healing. 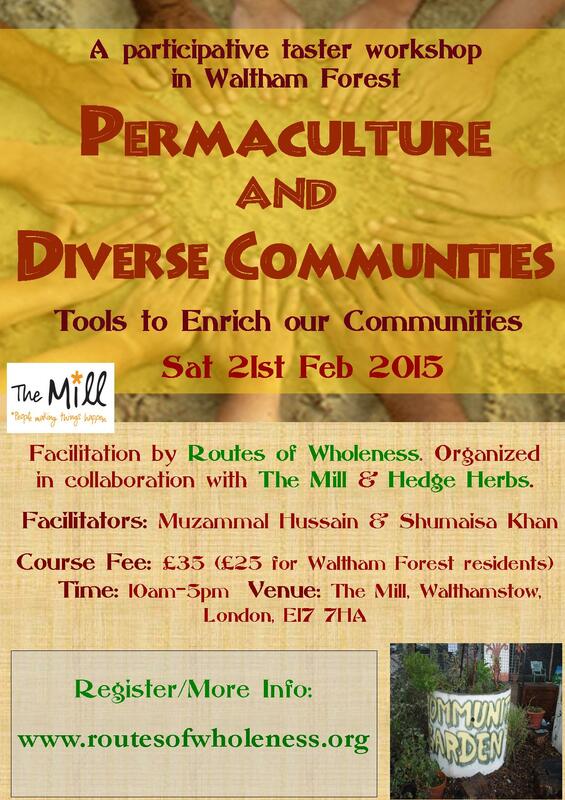 It will give a taste of both permaculture and working with social diversity. Together we will explore and open up ways to work together effectively, to recognise our differences and our common ground, and to discover how permaculture and contemporary group approaches can support our vision to co-create more conscious, real and productive relationships between one another and the land. We actively invite members of Waltham Forest community groups to join the workshop – all spaces are to be held solely for local residents until 1 month beforehand. …If you live outside of Waltham Forest, your booking form will be acknowledged when received, and processed from 25th Sept with places being offered according to availability at that time (full fee only for those outside Waltham Forest).